Over 15 years as professional resume writers, specifically targeting the Top 5% of job applications. As professional resume writers, we have earned the reputation of being a premier provider of resume services Australia. 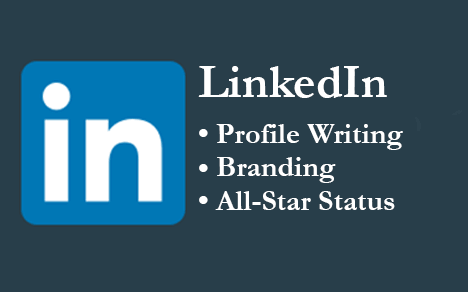 Professional resume writers, CV writers and LinkedIn profiling. 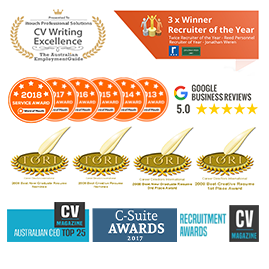 We are a team of award winning professional resume writers who provide award-winning resume services to clients throughout Sydney, Melbourne, Canberra, Perth and Brisbane. Experience the difference as we help to propel your career to the next level. I'm Roland Coombes, an expert resume writer, LinkedIn profiler, and career management professional. 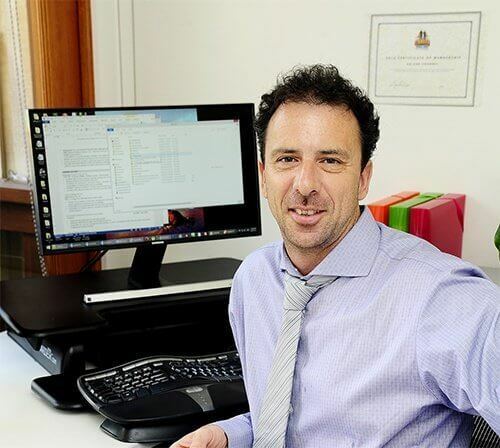 In 2001, I set up itouch professional solutions, and we have since grown to become the market leader for resume writing services in Australia. Our focus is on helping you reach that Top 5%. Why do clients prefer itouch? Yes, we've won many awards but its our no-nonsense approach that sets us apart. 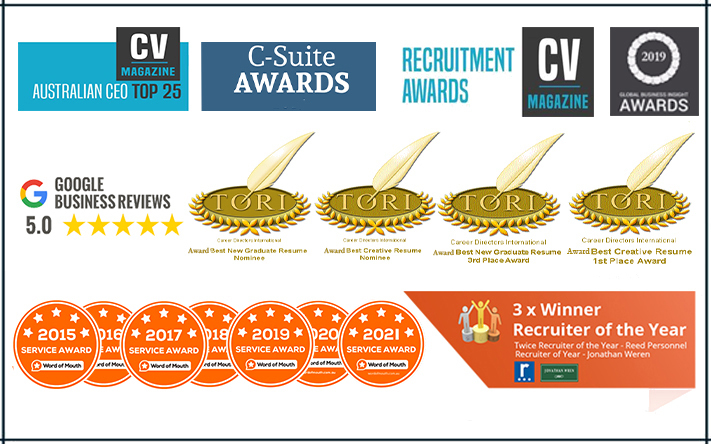 TORI Winners,5 WOMO Awards, Employment Guide Life Award, CV Recruiters Choice..
At itouch, we are well known for our professional resumes, our resume writing services and professional CV services, and above all, our knowledge of the markets we work in. More than just resume writers, we aim your success at the Top 5%. Here’s just a few of the many words of appreciation from our clients. If you are looking for a value-add partnership, contact us today. "Professional resume and LinkedIn profile - both demonstrated the ability to quickly secure new market advantage. Outstanding value for money and will use again." This is now the third time I’ve used your resume writing services. Delighted…both the resume writing and LinkedIn profiling services were standouts. Thank you! Sydney | Melbourne | Brisbane | Perth | Canberra | UK and International.